TimeWise® Microdermabrasion Step 2: Replenish is a serum that contains vitamins, antioxidants and anti-irritants to leave skin feeling soft and smooth. Part of the two-step TimeWise® Microdermabrasion Set. Step 2: Replenish is the second part of the TimeWise® Microdermabrasion Set for more radiant-looking skin. 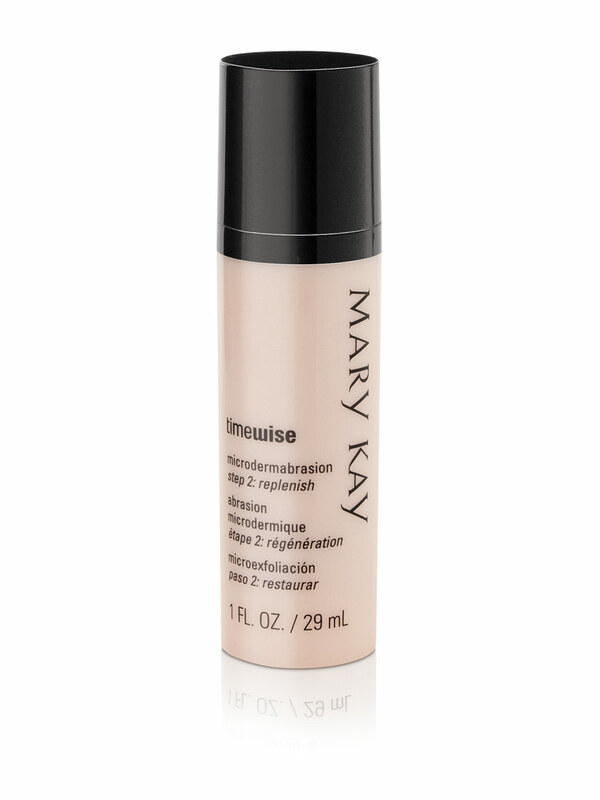 TimeWise® Step 2: Replenish feeds and nourishes skin from above with an exclusive Mary Kay® Triple-Tea Complex, plus other vitamins, antioxidants and anti-irritants that nourish the soft, smooth feeling skin revealed by Step 1: Refine. After rinsing off Step 1: Refine and patting face dry, use fingertips to apply Step 2: Replenish gently. Use TimeWise® Microdermabrasion Set 2-3 times weekly; wait two days between applications. Use on throat and décolleté area as well. Feeds and nourishes the skin from above with an exclusive Mary Kay® Triple-Tea Complex. Aids the rejuvenation process and protects against environmental pollutants.